The smartphone wars aren't over. The fight has just shifted from what's inside the phone to what new things the phone can do. One of the key showdowns is over augmented reality — mixing the virtual and real worlds. 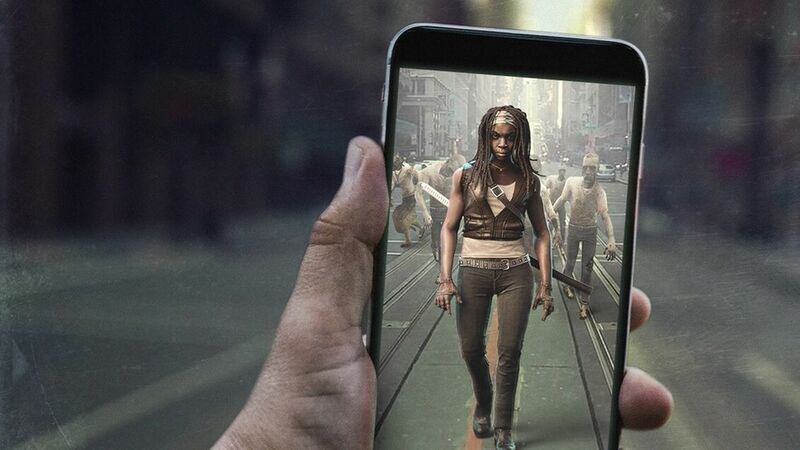 And once again, it's a battle between Apple and Google, both of which are trying to pitch their mobile operating systems as the best place for AR content. Google has been trying things out in this area for a few years now with its Project Tango, an effort that used phones and tablets with multiple cameras and sensors to deliver AR capabilities. The problem is that there are few apps and even fewer devices that support Tango, making it more a lens into the future than a viable commercial effort. Apple's ARKit, by contrast, took things from niche to mainstream overnight. Because it works on all phones running iOS 11, Apple instantly created a giant market of hundreds of millions of devices capable of running AR apps. That put the pressure back on Google to offer up a more mainstream approach, and on Tuesday Google offered up just that. Much like Apple's ARKit, Google's ARCore relies on just the standard camera and sensors in a smartphone and is therefore capable of running on far more devices. Google's challenge will be to test and certify ARCore with as many leading Android devices as possible. What's cooking: Axios had a chance to check out several iPhone apps designed to launch with iOS 11 next month. The apps included the kinds of things that typically get highlighted with AR, uses such as gaming, education and visualization apps, such as Ikea Place, which lets people try out sofas and coffee tables in their own living room before making a purchase. Everyone wins? : Apple's ARKit certainly appears to have the head start, especially in terms of developer attention. But there is a case to be made that having an Android option will further accelerate the pace of apps and that could be good for consumers and app creators alike. Don't forget Facebook: Facebook isn't a big player in AR yet, but owns Oculus and has talked about the importance of mixing the virtual and real worlds. The bottom line: For now it's hard to measure the financial impact to Apple and Google since this works with the smartphone people already own. But it does give people a reason to upgrade to the latest and greatest and is a step on the road to augmented reality glasses. Truly consumer-grade specs are probably a year or two off but could be the next big thing in consumer hardware.